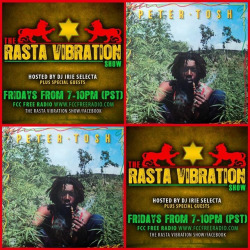 We getting down tonight on The Rasta Vibration Show! This week Burning Spectacular is calling in to talk about his up coming projects and were dropping the sweet reggae music you know you love… Tune inn Friday night worldwide on www.fccfreeradio.com 7-10pm(pst) in Studio 1A….. Big up!!! !